Featured by ICICI Bank in their Advantage Woman Initiative. Sinjini’s first novel ELIXIR – a woman’s journey through conflicts into redemption through her co-existence in parallel existences in real and dream lives – has been recently published. Elixir was originally a short story written by Sinjini on her Blackberry which later was made into a film, was screened at the 69th Cannes Film Festival, won several awards internationally and also landed her with an on-the-spot book contract for a novel. Elixir has been called “the story of every woman” and “an essential journey of the soul” by literary critics and media. It has been topping the Amazon ‘hot and new’ charts for several months at a stretch, and collecting raving reviews from literary critics and readers from across the globe. Ms. Sengupta is regularly invited to various national and international literary festivals and conferences as speaker/ panelist/ moderator to speak on topics of art, creative writing, social causes and women empowerment. She spoke at the Pune International literary festival, the Valley of Words international literary festival, Kasauli literary evening, Gurgaon Literature Festival, and many such. Her interviews, features or her book’s reviews have been published in The Hindu, Asian Age, Hindustan Times, The Statesman, The Sunday Guardian, Kitaab,, Deccan Chronicle, Cinestan and others, and in audio-visual media uncluding the press conference at Nandan press room at the 22nd Kolkata International Film Festival. She has also been featured by Toastmasters International as the personality feature in their April 2018 edition. 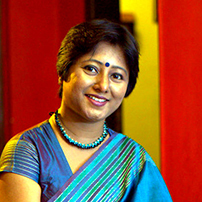 Further as a columnist, Ms. Sengupta has featured in a plethora of publications including Huffington Post, Youth Ki Awaaz, SBCLTR, Anandabazaar Patrika, She The People, Speaking Tree – Times of India, Our Front Cover, Feministaa and several popular magazines.